The police command in Nasarawa State has confirmed the abduction of a former Minister of Labour and Productivity, Hussaini Akwanga. 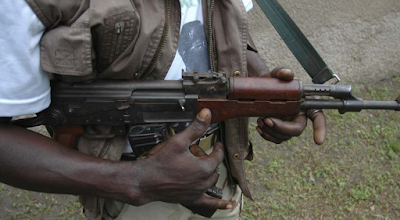 The spokesman for the Nasarawa State Police Command, Kennedy Idirisu, who confirmed the abduction in Lafia on Wednesday, said Mr. Akwanga was kidnapped by gunmen at his farm on Wamba Road in Mr. Akwanga on Tuesday. Mr. Idirisu said that on receiving information on the abduction, the state’s Commissioner of Police, Abubakar Sadiq-Bello, mobilised policemen, led by the deputy commissioner in charge of operations, to search for the abducted former minister. “As we speak, the commissioner himself has gone to Akwanga to boost the rescue operation to ensure that the victim is released unhurt,” he said. Mr. Idirisu reiterated the commitment of the command to ridding the state of kidnappers and other criminal elements. Meanwhile, a family source told NAN that the kidnappers had contacted them, demanding an unspecified amount as ransom.